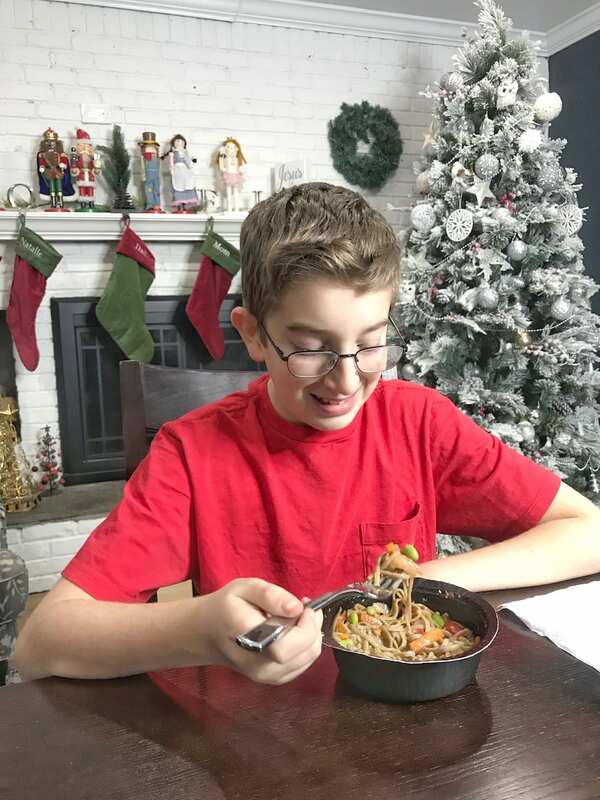 I’m so pleased to partner with Gorton’s to share my experience with their new Shrimp Bowls on this sponsored post! My life can get a little crazy, even a little upside at times. With both my wife and I both working out of the house as bloggers, it can get busy as it is. Add in the activities, studies, and constant needs to three kids and a new puppy, and you have a formula for near-constant chaos! LOL! It’s a pretty controlled and enjoyable chaos, however, I must admit. It’s a house filled with laughs, love, and activity. I wouldn’t (and couldn’t) have it any other way! I’d be really board otherwise. That being said, all of that busyness can often times leave meal planning on the back burner, as much as I hate to admit it. There are all too many days when the time just flies by and it’s dinner time and nothing as been planned (not even a slight thought) by either Vera or myself. It’s not ideal, but what can you do? Nobody’s perfect, right? I get to work out of the house and be with my wife and kids a ton more than many parents do, so I’m not complaining. 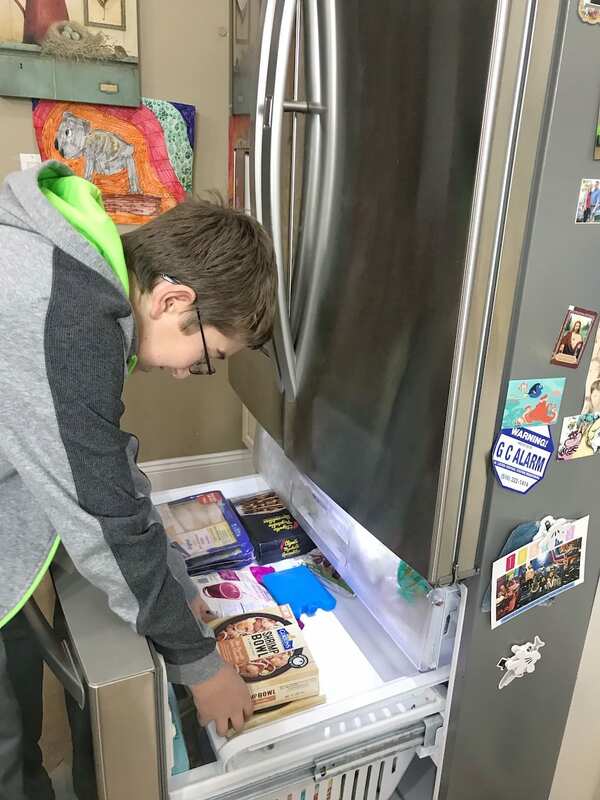 When the time is crunched and the kids are screaming for food, I have to think fast and get something good, fast, and delicious on the table. I can’t think of what would happen otherwise. When time is crunched, one of my main go-to choices are the awesome new Gorton’s Shrimp Bowls !! We love these bowls, baby!!! As true as it is that lunch and dinner can sometimes be an afterthought, I really do love food and cooking. It’s a great passion of mine and one that I try to nurture whenever and however well I can. I mean, really, there are a lot worse cooks out there, and I have had some moments of brilliance!!! Even if it was just me that was thinking that, I’m fine with that. 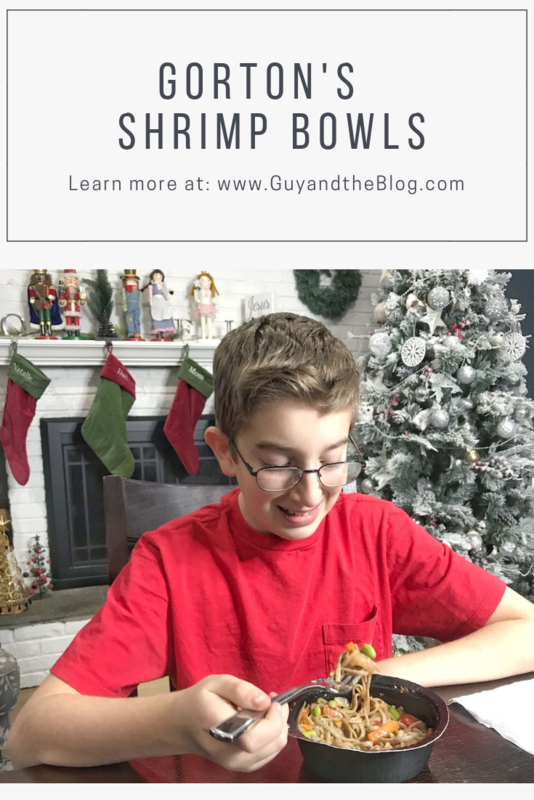 For those times when I just cannot get it together and time of the the essence, Gorton’s Shrimp Bowls are a fantastic option and is a staple in my freezer at home!!! Gorton’s Shrimp Bowls come from Gorton’s. That says a lot. You know the name and you know the quality of the seafood they offer. They have been providing customers with great meal options for 167 years!!! While they still have a number of classic options, I am really enjoying their new, all-in-one meal shrimp bowl options!! These bowls are super easy to make and are packed with a ton of flavor and variety! You get it all in one awesome bowl. Quick, simple, easy. There’s no though involved other than “boy, this tastes great.” How can you not love that?? Do you love risotto? I bet you do. Not sure? If you love rice, then you will really love risotto. It’s rice, but better. This risotto bowl packs an awesome, all-in-one Shrimp Bowl punch!!! 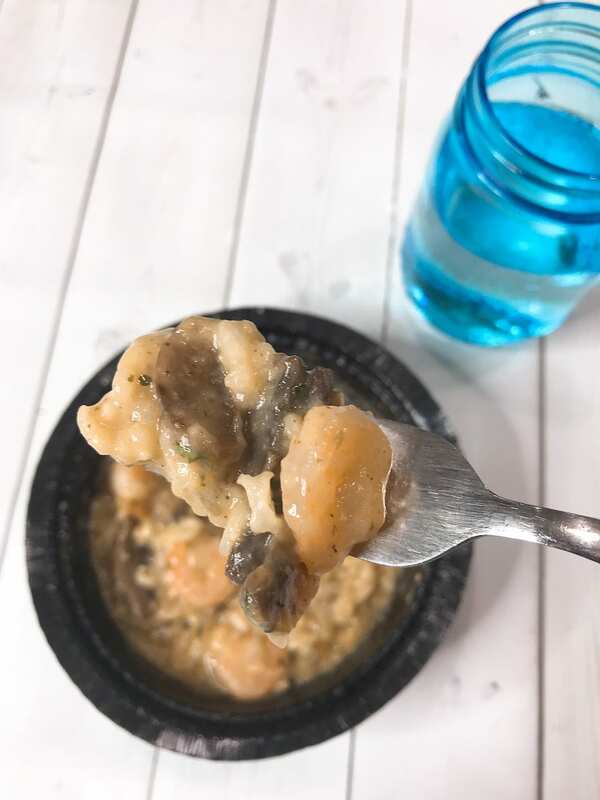 This bowl is filled with perfectly cooked Shrimp paired with some tasty mushroom (love mushrooms) risotto in a black garlic & wine sauce. It’s a really great combination that’s ready to mangia in under six minutes! I mean, let’s be real here for a minute. There are very few things in life that can be started and completed in six minutes…and hardly any of those would be as good as this. Really, this bowl deserves all the finer things. Do it up and break out the wine glasses, fancy cloth napkins, and mood music. Sinatra anyone? The best part…the only think you’ll really need to clean afterwards are those wine glasses!!! This is an Asian sensation. It’s like you are enjoying a meal at a classic noodle shop, just in your house. Listen to what I’m telling you, of lover of noodles and shrimp and easy meals. Shrimp + soba noodles + seasoned veggies + soy ginger sauce = awesome. You have your crunchy veggies, your perfectly cooked shrimp, and your chewy noodles. Oh, and that soy ginger sauce. Yum-tastic. Get what I’m saying now?? Oh yeah, you only had to wait for 6 minutes before you can enjoy it, too. Think about what I’m telling you. Did you do it? Then you see that I am not steering you wrong, my friend. I’m steering you oh-so-not-wrong. 6 minutes until delicious, sign me up. Bonus: the kids don’t ask to get take-out or to go out for noodles. It’s just some much easier. And what a great value to boot!! 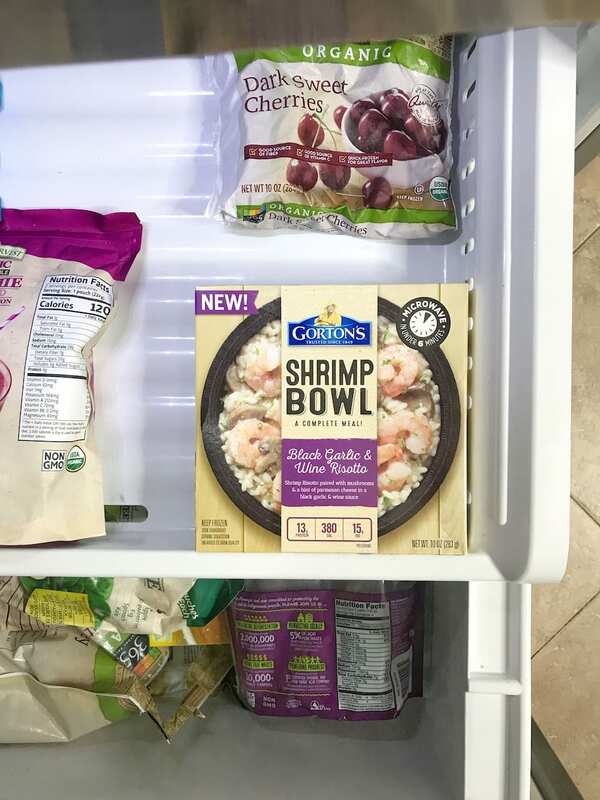 We save a ton of money with Gorton’s Shrimp Bowls, too. From the beginning, Gorton’s has been all about good seafood that’s good for you. I vote that not only has Gorton’s been around for so long, providing quality food for it’s customers, but it’s all about sustainability, too!! There is an undercurrent of responsibility and deep respect for the environment, which I really love and respect. They are always searching for ways to minimize our environmental impact, raise the bar for the seafood industry and sustain our global resources for future generations. So not only are you getting quality meals that taste great for a great value, but you are getting a company that actually cares. That’s not a bad combination. Have you heard the good word? I have a feeling you have, but if not, I wanted to let you know that the Gorton’s Fisherman is back!! Some would say he’s back and better than ever, but I’ll let you be the judge of that. I do love this Shrimp Bowls, though. Gorton’s has brought back its seafaring icon via a funny Facebook video series. He’s an icon, and a funny one at that. I would definitely check him out. It’s funny stuff. A little side of humor with your seafood. Tasty. Having these on hand for a quick meal would come in handy. Families always have those busy days where they don’t plan or don’t feel like cooking. These looks yummy and very delicious. It’s good to have these instant food especially to those in a hurry. I am always looking for delicious quick meals and one that my teen daughter can make on her own is a bonus. Have to give these a try. 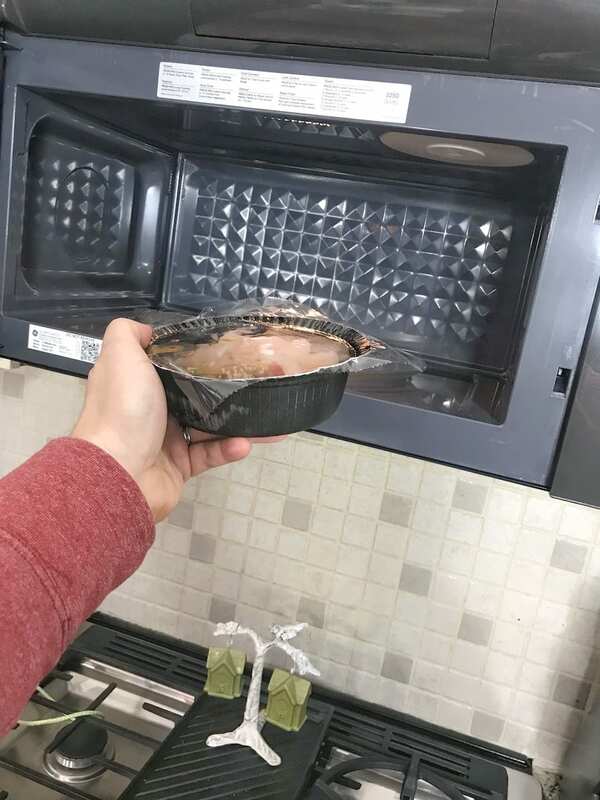 I like the idea of the convenience of having something ready to pop in the microwave that tastes good. I’ll have a look at these Gorton bowls as a ready to go meal. 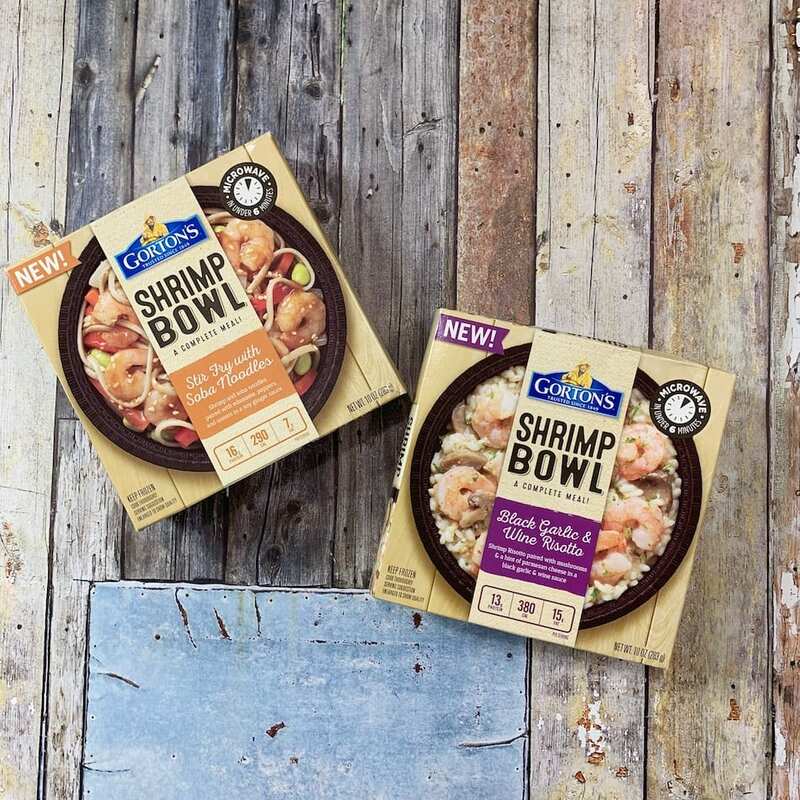 I love Gordon’s salmon so I’d love to give these shrimp bowls a try. I like trying different things so we don’t get bored all the time with the same meals over and over. This looks easy to make too. I haven’t heard of these before, but it sounds like a great meal idea for the seafood lover. It’s nice to have meals that are quick and convenient like this. I loved eating Gorton’s when I was younger! I’m glad to see that they now offer shrimp bowls. I’ll have to try them out! Not sure if this already available here so I need to check this out. Definitely a great food to save the day.